Why not let everyone know how you and your puppy have benefited from Puppy School. We will publish the best stories and give a prize for the most outstanding every 3 months. 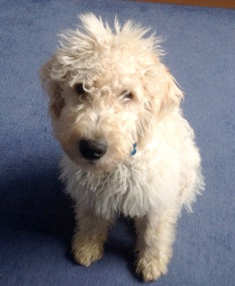 After attending with our first dog last year, there was no question of where I was going to take Bertie - labradoodle number 2. Bertie is very food driven and Cushlas classes are just perfect. It's fantastic socialising for the puppies, they all love it, and the transformation in 6 weeks is amazing, all down to Cushla, I can't recommend her enough!